Checking criminal records is an essential and basic element of a comprehensive background check for any individual and it is needed in various situations. A criminal records request can be done a few different ways. You can request criminal records from the courts in person, by mail or online. Another, and more simple solution, is to perform a Criminal Records Request using an online public records website like SearchQuarry.com. Note that most 3rd party websites are for reference only. If you need a criminal record for employment, security clearance, licensing or rentals then you must contact an FCRA certified source. Why Do You Need Request To Criminal Records? Criminal records are part of individuals’ public records that consist of all the crimes, offenses, misdemeanors and violation of laws any person has committed in his/her life and the legal issues he/she has faced. They also include the pending charges and sometimes, may also contain the charges for which the person was not found guilty of (policies regarding the expunged convictions vary from state to state). Why Is There A Need To Maintain Criminal Records? Maintaining criminal records are extremely important for any society to establish and maintain peace and to ensure the well-being of its citizens. 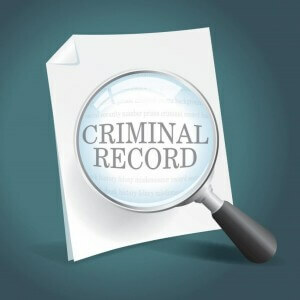 Performing the background check would be almost impossible in the absence of criminal records. When Do You Need To Request Criminal Records? Business people regularly check criminal records of every prospective employee and it is a part of their policy. Government departments and agencies that are involved in some kind of sensitive work particularly check criminal records of all the applicants to make sure that they do not hire anyone who has been involved in any kind of offense or misdemeanor. Click here to find out more about hiring employees using the FCRA. No one wants to rent their house to a criminal. When public records were not easily accessible, it was extremely difficult to know if the person has been charged and found guilty of any crime. Thanks to the availability of public records, finding out if a person has any kind of criminal background has become a lot easier. Students are often asked to provide a clearance certificate that shows they have not been involved in any kind of criminal activity. Request for criminal records of students are made for securing admission in a university or for financial aid by the federal government/university. If a person applies for obtaining a license, such as for doing a certain type of business or a commercial driving license, the concerned authority runs a criminal record check before issuing it. If you wish to join the country’s military, you need to have a clear criminal record. Otherwise, your application will be rejected. This is a regular part of the comprehensive background check that United States’ military performs for every applicant. By accessing the criminal public records, you can also view your own record before applying to make sure you do not have to face any problem later on. If you are suspicious of your new neighbor and think that he/she is involved in some kind of illegal activity, you can check his/her criminal record to see if there is something to worry about. SearchQuarry is an online database that allows you to run a background check, including the access to criminal records and thus, promoting peace and stability in the society. The database is updated every day to make sure the most current information is provided. Start your criminal records request by using the above form.